There it is, a post for your dream job, and you’re the perfect candidate. Your little heart goes pitter-patter with excitement. But, your resume won’t even get a second glance if it isn’t configured properly. The cold hard truth is your resume has only 6 seconds to impress. Incorporate these five insider tricks and you’ll make every second count. We are get inundated with junk email every day. How many of those have you read lately? Right, none. They’re generic and a waste of time. Your resume should never be a one-size fits all solution. Gone are the days when we created one resume and used it to apply to any position. If you are not customizing your resume to the posting, you are most likely being eliminated in the first pass. You don’t have to revamp the whole resume every time you apply. Just tweaking the keywords and updating your Summary section will increase your chances of having an actual human read your resume. Do you know the secret behind keywords? They are the magical keys to get you past the dreaded gatekeepers called Applicant Tracking Systems (ATS). ATS software is currently used by over 90% of all organizations and its’ not going away. This software is a great time saver for recruiters, though it is far from perfect. More often than not, talented candidates are eliminated by the ATS who haven’t adopted the keyword tricks that I’m about to share with you. Keywords are nouns describing the responsibilities, technologies being used, and attributes required for the position. For example, a sales position may have keywords such as “account management”, “business development”, “B2B”, “B2C”, “cold calling”, “CRM”, “Fortune 100”, “hunter”, “negotiation”, “sales presentation”, and “trend analysis”, etc. The real trick is knowing which keywords the employer is using to screen candidates. So how do you know which keywords they are using? You don’t exactly. But, if you want to make an educated guess look at their job posting. Use buzzwords and jargon common to your occupation and don’t forget to include the synonyms for these keywords. Plus, you’ll get more bang for your buck if the majority of your keywords appear in the top third of your resume as the ATS will rank them higher. Only include those keywords relevant to your personal experience. Keywords found in the content of your resume will receive higher rankings by the advanced ATS programs, so don’t just grocery list or white-text them. Even if your resume is being reviewed by a human, keywords are still used to evaluate your suitability for the job. Keywords are a must if you want through to the interview process. I can’t tell you how many resume I’ve read where the candidate only included their duties under work experience. Yawn … Next … Delete! Let’s be honest, most people reading your resume have a basic understanding of what you do from your title. 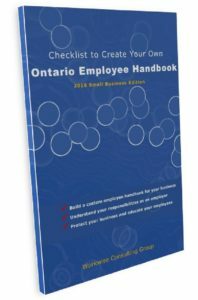 Employers want to know what you can do, plain and simple. Can you make or save them money, improve efficiency, solve a problem, attract and retain customers or solve other problems they may face? Tell them. Accomplishments focus on the contributions you’ve made to your current and previous employers. And, don’t say you haven’t made contributions. I don’t believe it for one second. It doesn’t have to be solving world hunger or curing a disease, it could be improving an antiquated filing system or consistently meeting monthly sales targets. Everyone has their opinion on how a resume should look. In my humble opinion, there is only one format that is suitable, and it’s a chronological resume. Others will disagree and say you should use a functional format when you have gaps or don’t have the relevant experience. Unfortunately, you aren’t fooling anyone doing that. When you have something to hide everyone knows people use a functional resume. 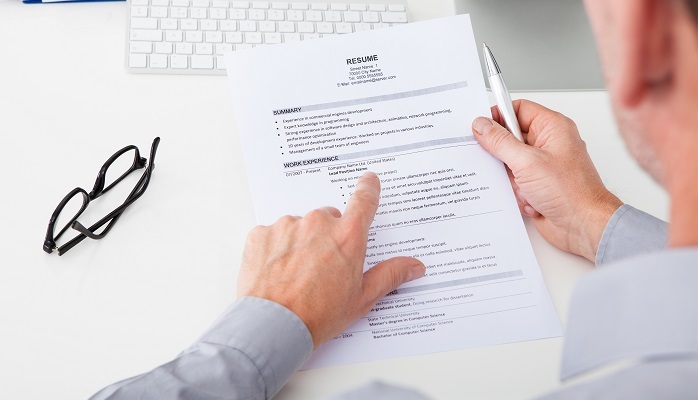 It’s a red flag and not worth the risk of having your resume thrown out prematurely. Ensure the information on your resume flows, lead with the most important items and use bullet points to make it easy to read. There is nothing worse than a resume that reads like a novel. Condense it to one or two pages and don’t forget white space to make it appealing to the reader. If you only use one trick from this article, please make it this one. Check the spelling and grammar of your resume until it’s perfect. Did you know many recruiters will immediately trash a resume if they find any spelling errors? I’m not normally that harsh, but if you list “attention to detail” as one of your attributes, then I would dump the resume too. Another one of the great debates is whether or not to use an Objective on your resume. What is an objective? It is an outdated sales or elevator pitch. Keep in mind your resume is marketing tool so don’t make it all about you, instead make it all about what your prospective employer. Starting with a Summary of skills is much more professional and a perfect place to highlight your relevant keywords. Avoid using “References Available upon Request” or any similar statements. Every employers knows when they asked that you would provide them with your references. These statements waste precious space which could be used for more important information, like Keywords! Even though everyone has their own personal preference of what they like (and loathe) on a resume, including these 5 tricks will drastically improve your chances of landing that interview. Happy hunting! Question: Do you have other resume tips to share? Please leave your comments below.